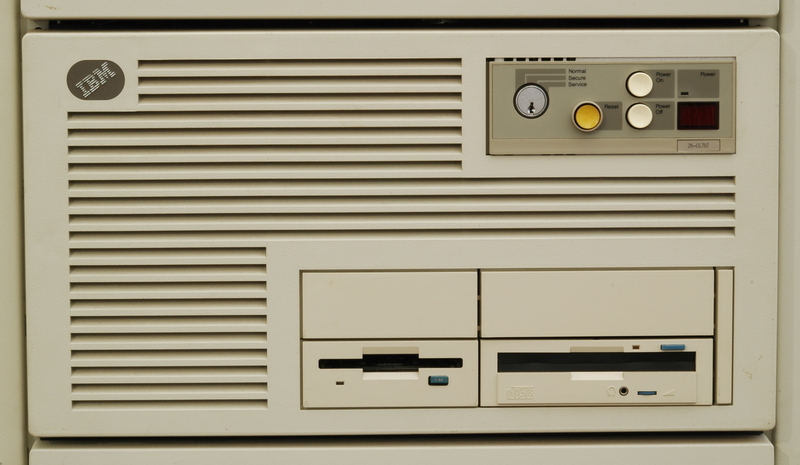 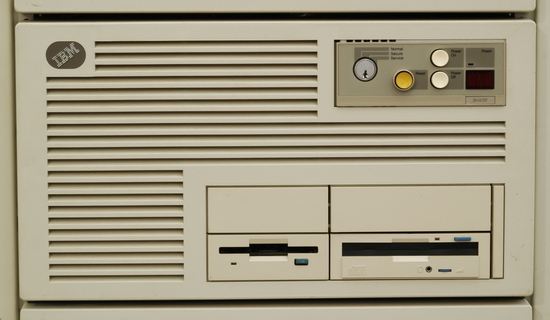 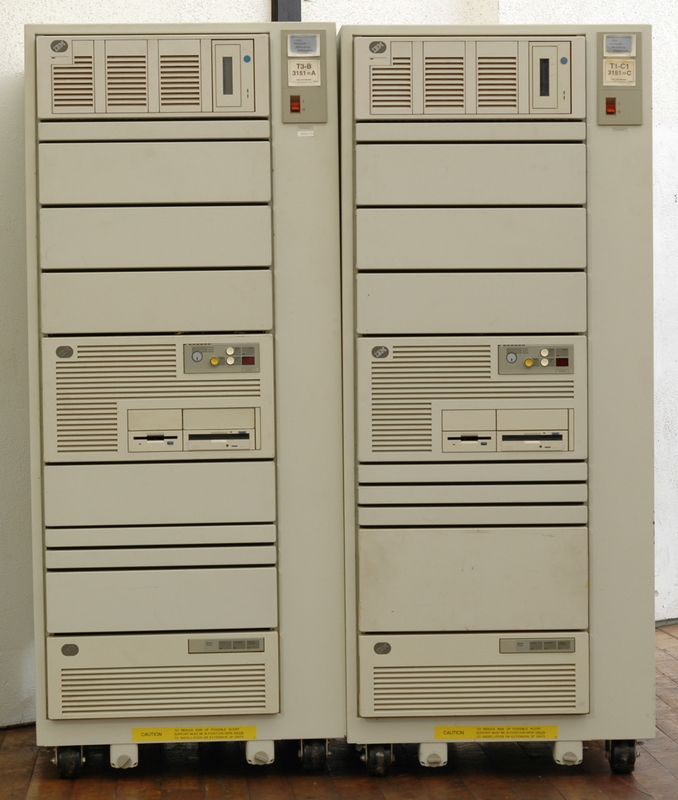 The IBM Powerserver 930 is a first generation RS/6000 server running AIX. 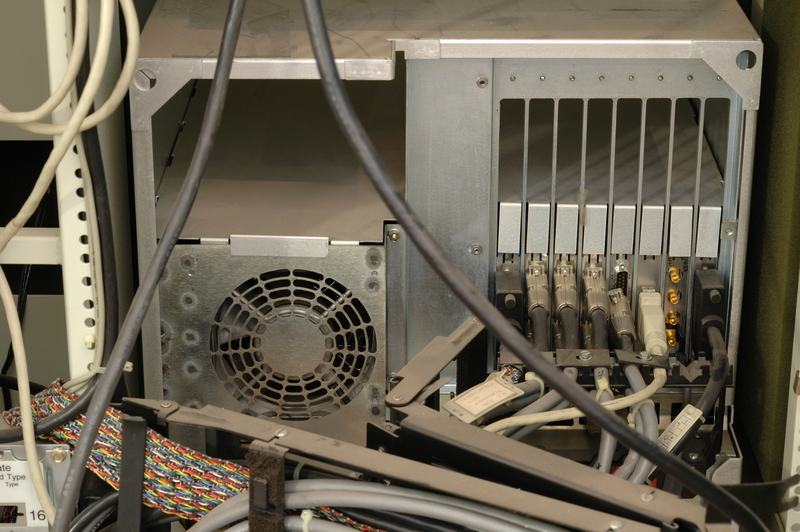 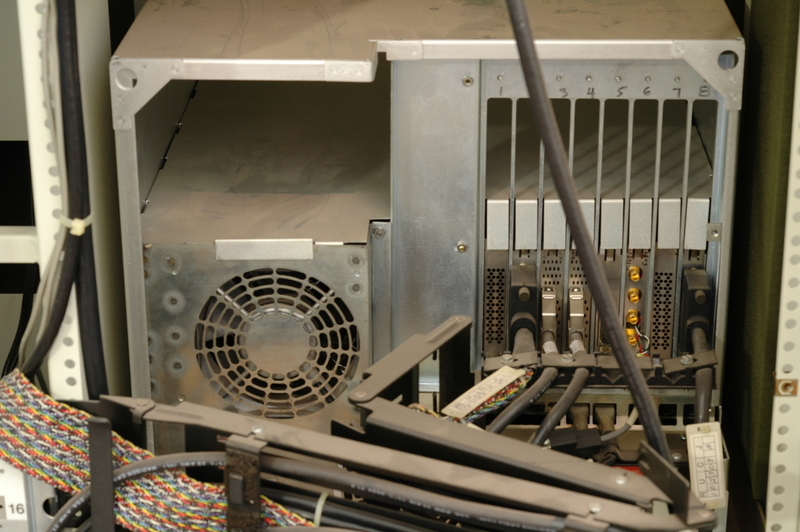 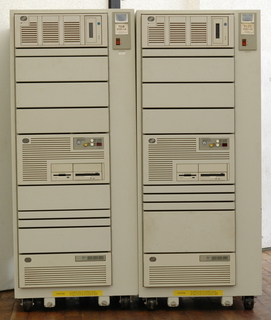 These units were configured by IBM as experimental "NSS" ("Network Switching Subsystem") routers, and used on the NSFnet T3 backbone in the early/mid-90s. 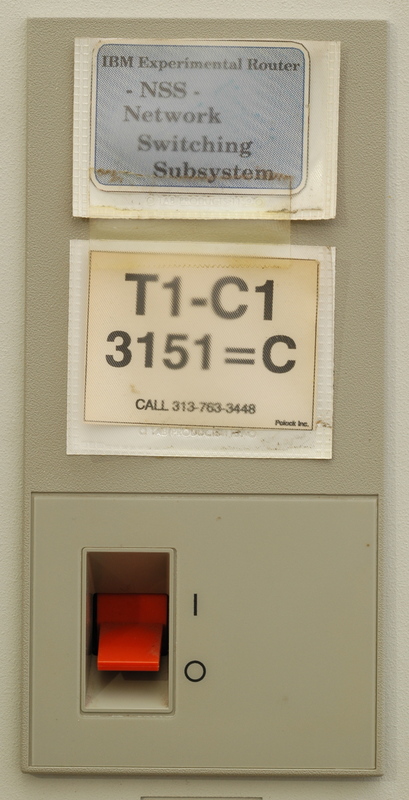 Each of the network interface boards has an i960 CPU, and is a router. The i960 router boards include HSSI (for T3 lines), V.35 (for T1 lines), FDDI (for connecting multiple NSS cabinets), and ethernet. 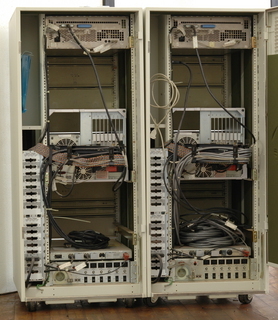 A typical node on the NSFnet backbone would consist of one NSS cabinet to route between the backbone T3 lines, and one or more other cabinets to route to T1 customer lines. 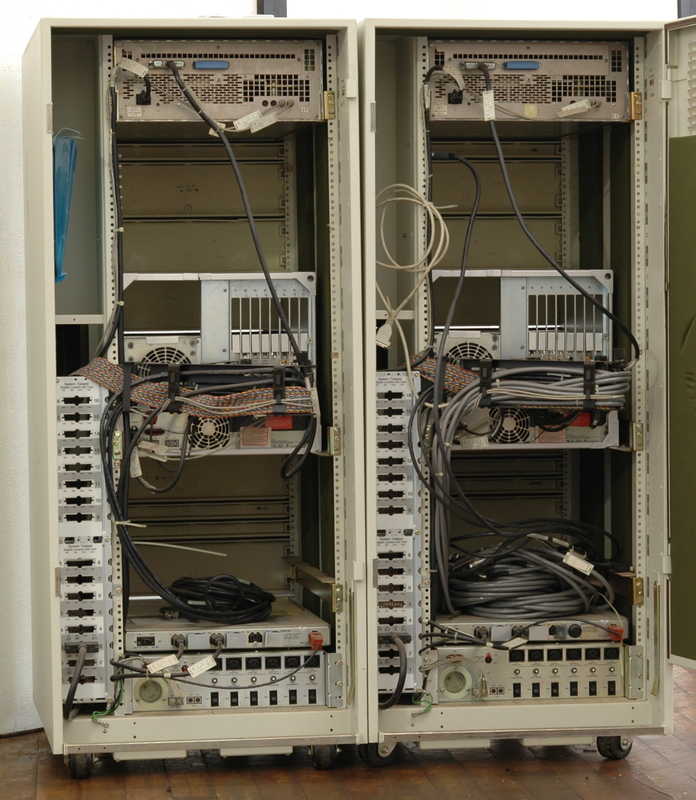 There was also a Cisco router for fractional T1 and slower customer lines.